Practical choices need to be made when considering equipment for business. Equipment that has dual purpose are often smart investments, it is like two pieces of equipment for the price of one. Dual purpose portable air conditioners are the perfect example of practical dual purpose equipment. Dual purpose air conditioners can serve to provide both cool air and heat. With this HVAC unit, it is easier to manage and regulate the temperature inside your facility. For facilities that require stern climate and humidity regulation combined with the seasonal temperature changes outdoors, managing the the indoor temperature can be challenging. However, with a dual purpose portable air conditioning unit in place, climate control can be more easily regulated without having to purchase additional heating or cooling equipment. Americool's WPH-4000 portable air conditioner has powerful heating and cooling capacity. It has user friendly settings so it is easily operated to the preferred function. Accessories include exhaust duct flange, cool air duct assembly, vinyl chloride evaporator filter, aluminum condenser filter and condensate tank which make this equipment even more useful and flexible to use. 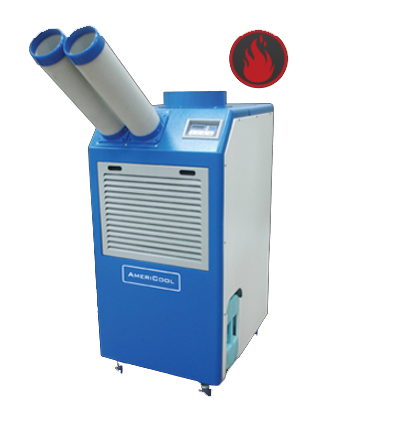 To find out more about its features and specifications, contact Americool LLC.